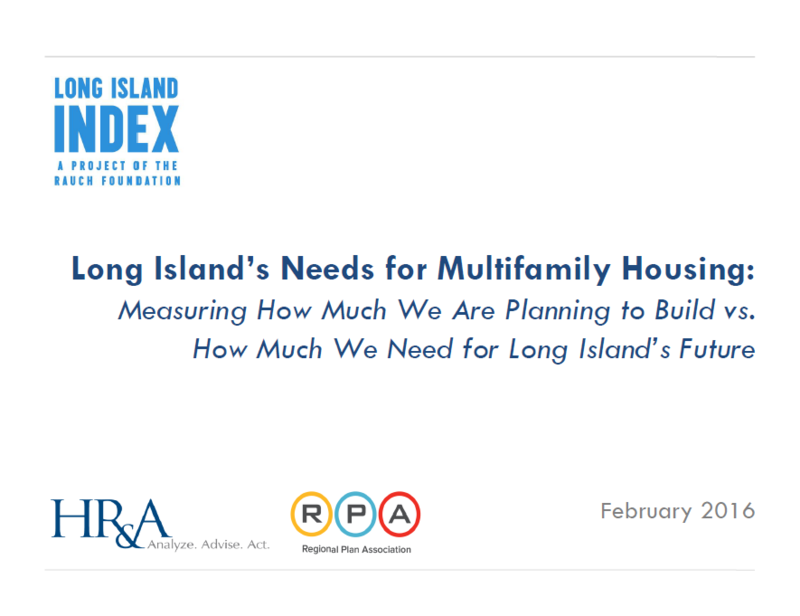 To evaluate the current state of multifamily housing on Long Island, and assess the need for additional multifamily housing based on demographic projections and housing preferences. To analyze potential locations that can accommodate new multifamily housing, and recommend zoning tools, development typologies, and residential density. To offer an implementation plan for delivering more multifamily housing in appropriate locations and at price points that are affordable to young workers and their families.